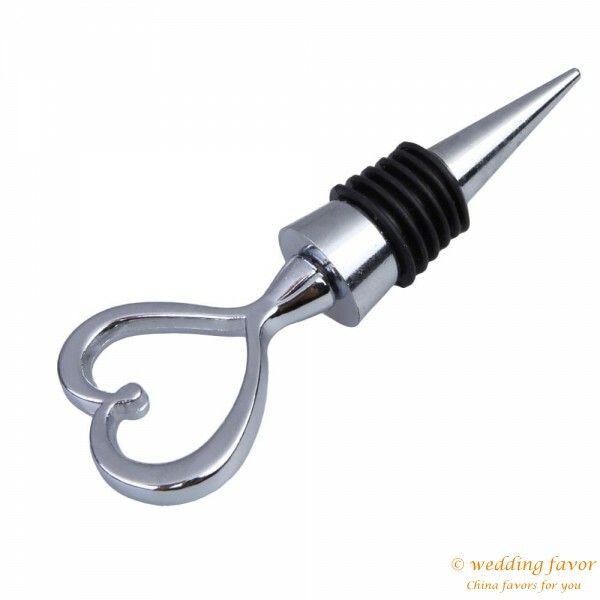 Cheers to a great combination! 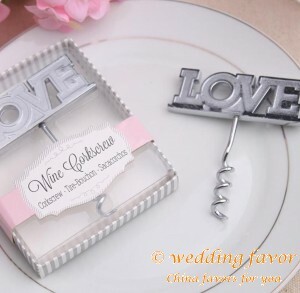 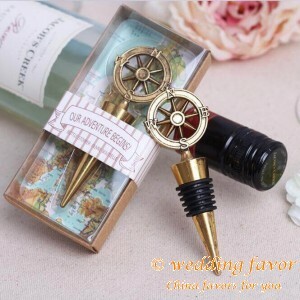 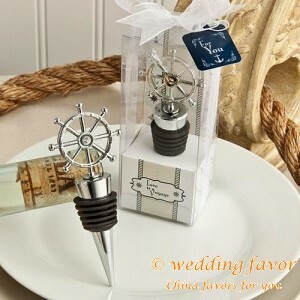 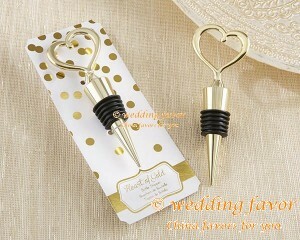 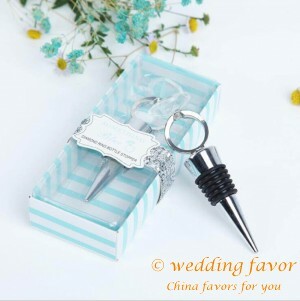 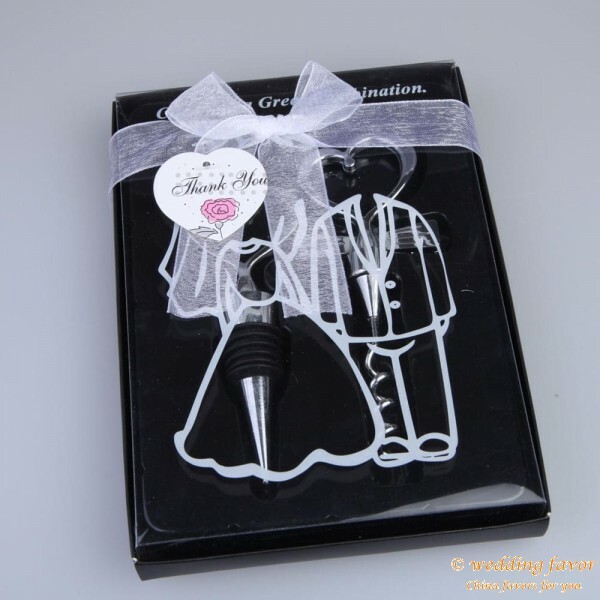 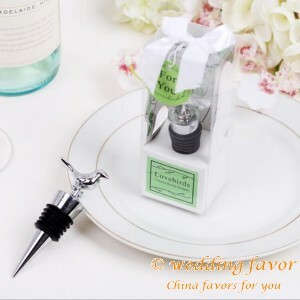 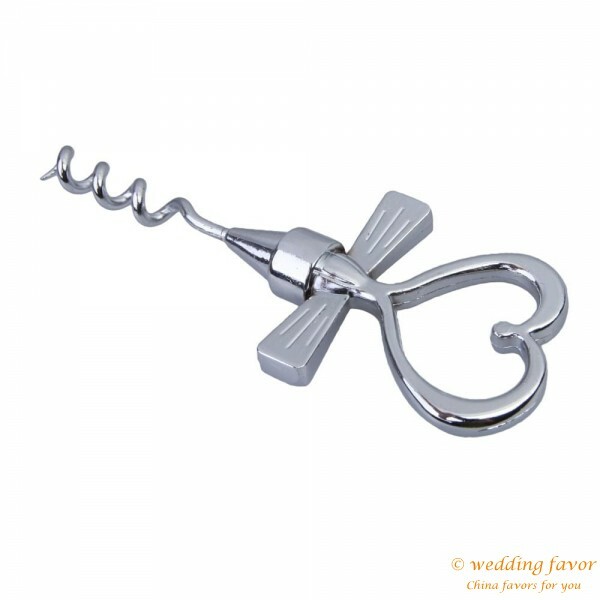 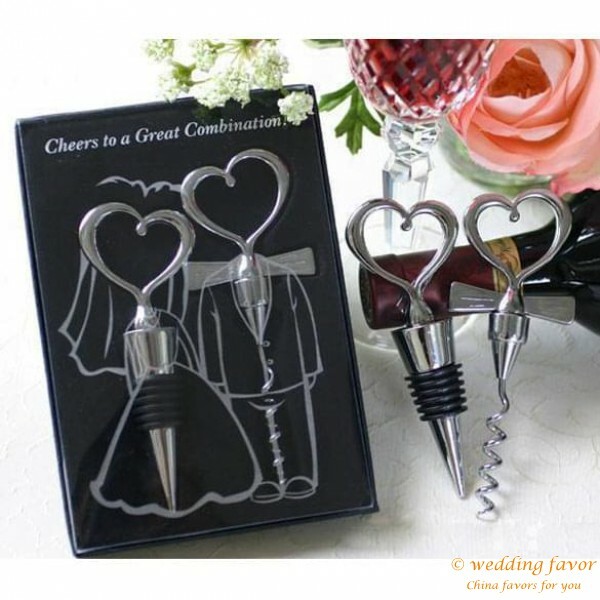 This bride and groom chrome heart wine stopper and corkscrew set is a fun and clever favor. 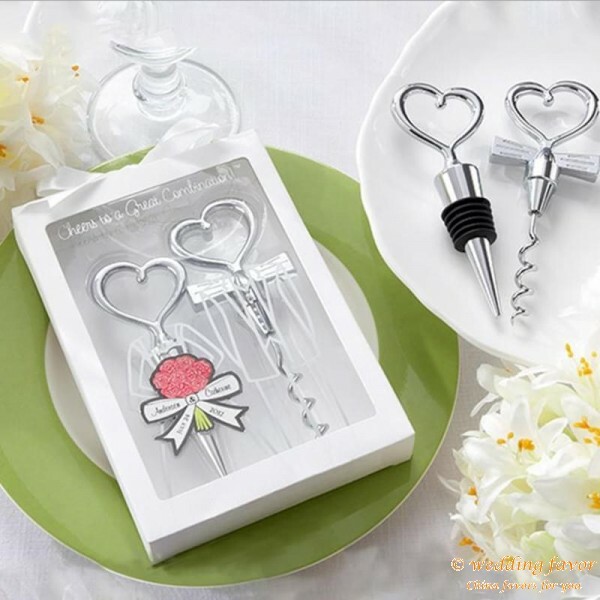 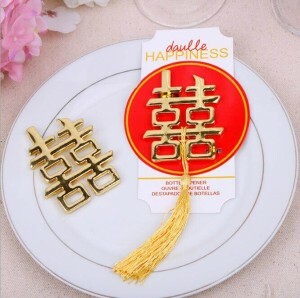 Each set includes an open heart chrome bottle stopper and corkscrew. 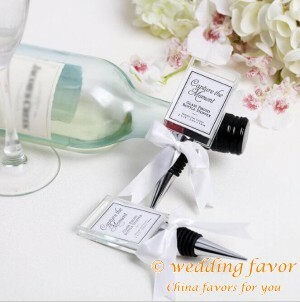 Placed atop a black velvet-lined interior, the set is packaged in a clear-topped black gift box with a playful bride-and-groom-design and the words "Cheers to a Great Combination!". 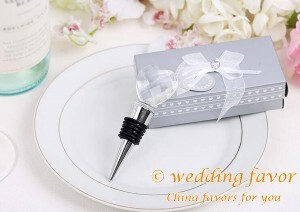 Gift box measures 6.5"L x 4.5"W x 1"D.
Heart Shaped “Love” corkscrew and wine stopper set in an elegant packagin.